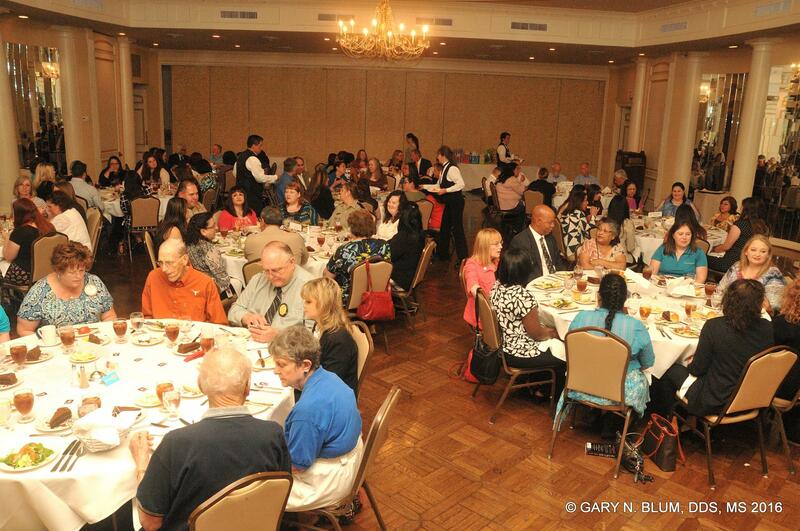 The Rotary Club of Southside Corpus Christi hosted its 10th Annual Administrative Professional's Day Fundraiser Luncheon to benefit wheelchair ramps construction, scholarships to Texas A&M University-Corpus Christi, the Early Act First Knight educational program, and to support club operations on Wednesday, April 27, 2016 at noon at the Corpus Christi Country Club. 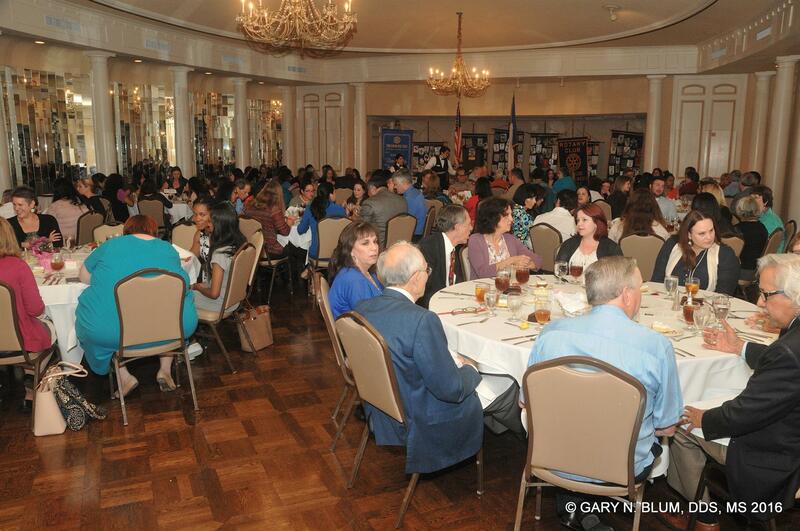 Administrative Assistants were treated to a beautiful luncheon, dessert, an engaging speaker, and great door prizes. This year's keynote speaker was Debbie Lindsey-Opel, founder of local communications consulting firm Three Dimensional Development. Debbie has served on the Corpus Christi Business and Job Development Board, the Nueces County Beach Management Advisory Committee, the Flour Bluff ISD Athletic Booster Club, the Mayor's Interagency Committee, the Corpus Christi Hispanic Chamber of Commerce, and the Coastal Bend Business Innovation Center Board. Her past experience includes 8 1/2 years with H-E-B as Director of Public Affairs for the South Texas Region, and 10 years of service with the City of Corpus Christi. Debbie is a graduate of Louisiana State University-Shreveport and earned her Masters of Business Administration at Texas A&M University-Corpus Christi. 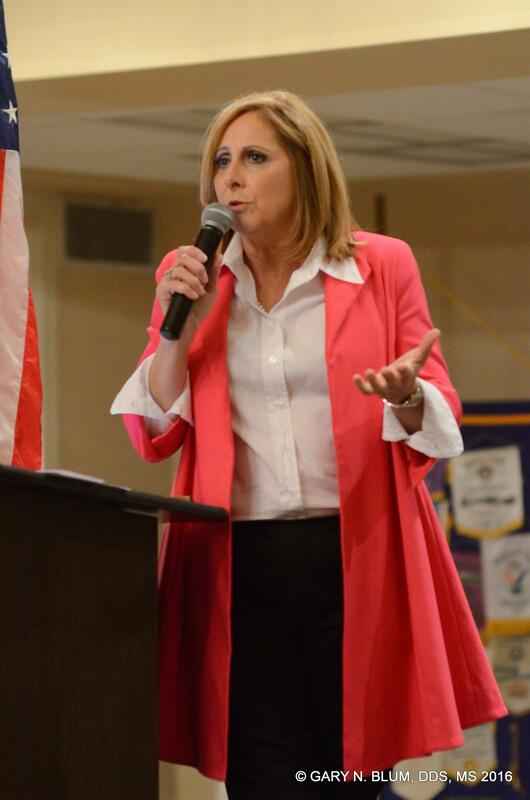 In addition to her work as a communication consultant, Debbie is also a popular motivational keynote speaker who has trained with several renowned public speaking professionals. 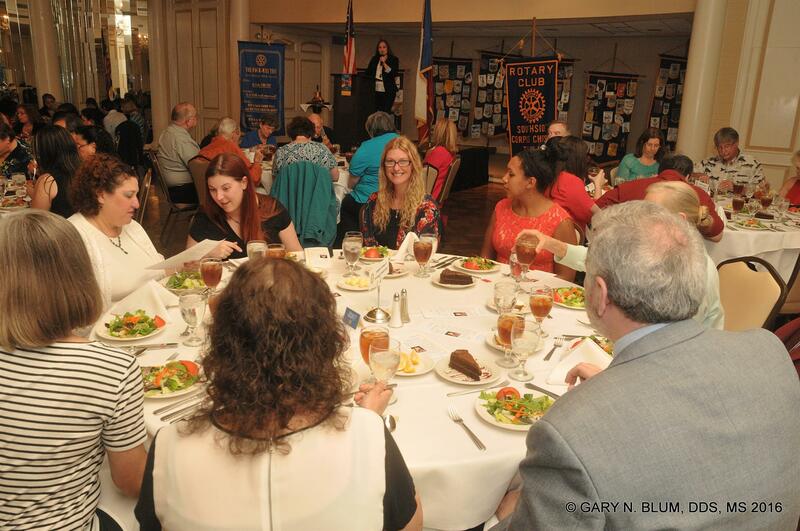 This event would not be possible without the following Southside Corpus Christi Rotarians who served on the Event Committee: Michelle Maresh-Fuehrer, Scott Sutherland, and Erasmo Nava. Special thank you to Debbie Lindsey-Opel for the fantastic keynote speech, and Gary Blum for providing photography services.